Linlithgow’s crowd were boosted by having two sponsored lunches as the Thursday Night Footballers and Muff’s Marauders did the honours. They were served well both on and off the park as both teams served up a feast of tries between them. 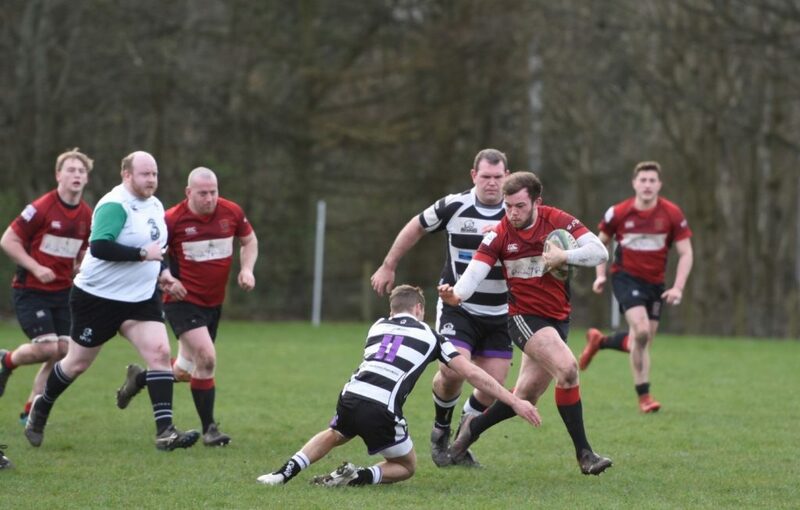 Not for the first time this season, Linlithgow started the game slowly and gifted Royal High two tries in the first ten minutes, one of which was converted. With the visitors sitting in second place in the league things were looking ominous for the hosts. However, Linlithgow have been very much improved lately and they gradually got back into the match and Jack Frame was able to convert two penalties to reduce the deficit. 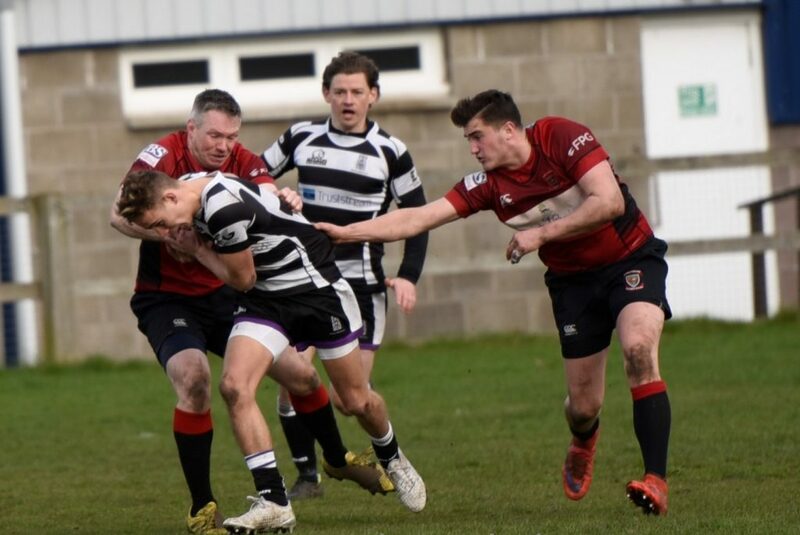 As the half wore on the game was pretty even and Linlithgow managed to score a try through scrum-half Cammy Murrie, who just reached the line with his outstretched arm. The conversion was missed. Half time 11-12. 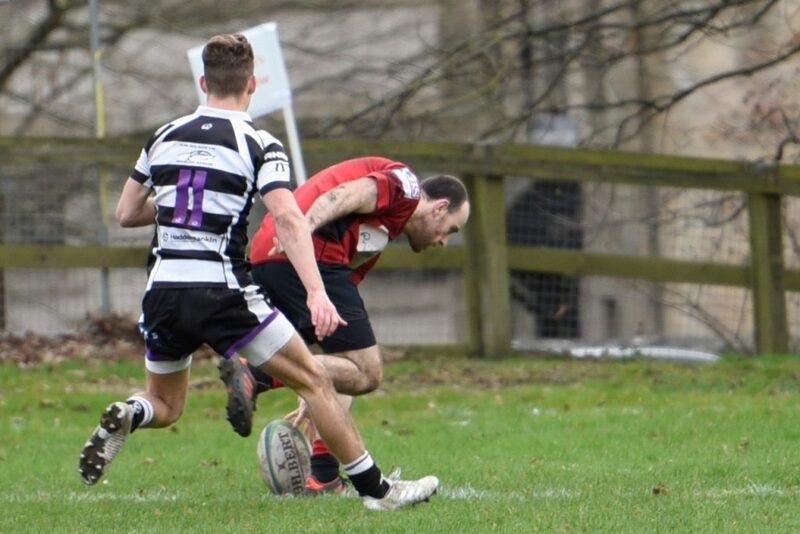 Within a couple of the minutes of the restart Linlithgow took the lead with a second try from Cammy Murrie, Frame’s conversion coming back off the post. Royal High rallied and scored their second try under the posts to retake the lead at 16-19. Linlithgow came back and Cammy Walker was unlucky not to score as he broke free down the right and was brought down on the line however, as he was rolled over, the ball was knocked on. Jack Frame brought the scores level at 19-19 with a penalty soon after. Midway through the half Linlithgow had a purple patch. As the Royal High full back tried to run the ball out of trouble, Rab Cairns stole the ball from him and scored under the posts. Jack Frame converted to give the Reds a 26-19 lead. Soon after, Joe McKillion bundled over for the bonus point try which was converted by Jack Frame. Linlithgow were well on top at this stage with a 14 point lead, but from there it all went slightly wrong. 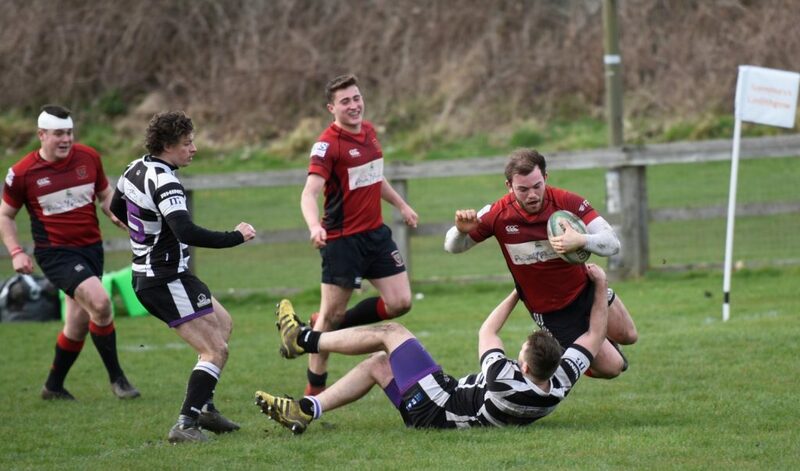 A dubious high tackle decision went against Linlithgow which allowed Royal High to race clear and score a converted try under the posts. Linlithgow had 2 more chances to put the game beyond the visitors as Frame took 2 penalties some distance out, however both went wide. You would have thought that the points were in the bag as one of the Royal High players was yellow carded for giving lip to the referee, but the visitors kept pressing. For the last 5 minutes it seemed that Linlithgow were the team with the man short. In the dying minutes Royal High eventually managed to score under the posts and convert to tie the game. Although it wasn’t a win, Linlithgow picked up 3 points for the draw (and if you ignore the first 7 minutes played very well). They have also extended their lead over Broughton and Portobello, both of whom lost on Saturday and are now unbeaten in 5 matches. Joe McKillion was voted man-of-the-match by the Thursday Night Footballers, while Muff’s Marauders selected Colin Devlin as their choice. 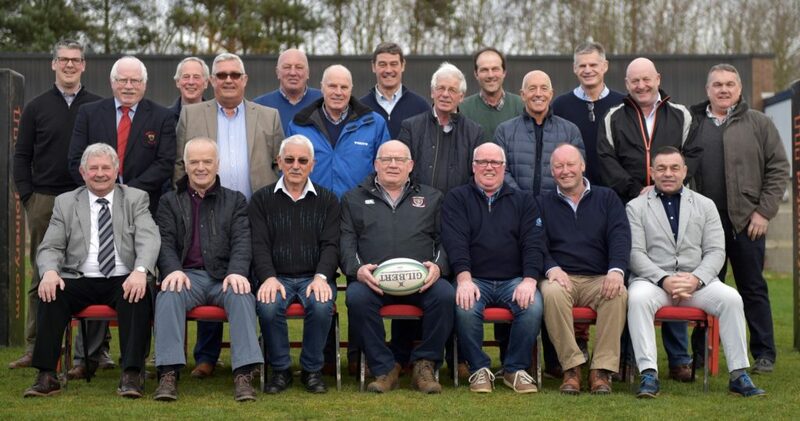 Muff’s Marauders – quite a lot of international and club rugby experience between them! Jack Frame; Cammy Walker, Rab Cairns, Ross Tulloch, Ross Plenderleith; John Chapman, Cammy Murrie; Ally McLean, Euan Mochrie (captain), Colin Devlin; Mark Caddle, Kieran Cochrane; Andrew Archer, Cal Thomson and Joe McKillion. Subs: Steven Grant, Cameron Dori-Muir, Chris Ronalson.